A Swiss-produced biopesticide containing a virus targeting the African bollworm is currently on trial in South Africa – and is proving remarkably effective against this destructive pest. Robyn Joubert reports. The African bollworm has a voracious appetite and can be highly destructive to crops. 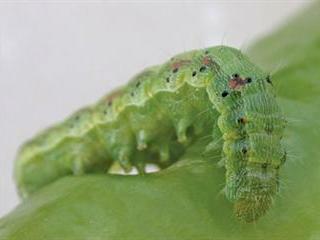 The African bollworm (Helicoverpa armigera) is considered a major pest in Southern Africa. Due to its aggressive feeding behaviour, it has a significant impact on a wide range of host crops, including beans, citrus, cotton, maize, tomato, drying wheat ears, lettuce heads and even rosebuds. The bollworm can be controlled by a variety of chemicals, depending on the crop infested, but many of these present complications. Because the bollworm has a habit of entering the fruit, boll or pod, the plant affords it a good deal of protection against chemical sprays, making control almost impossible. “A short-lived chemical is often necessary as the fruit is attacked shortly before harvest. This is particularly the case in tomatoes, but is also a problem in beans, peas, gooseberries and sweetcorn,” says André Fox, CEO of Madumbi Sustainable Agriculture. in many insects) have become available.” Another problem is that bollworm has a tendency worldwide to develop resistance to chemicals, particularly synthetic pyrethroids. A virus, Helicoverpa armigera nucleopolyhedrovirus (HearNPV), could soon offer South African farmers an effective alternative treatment. HearNPV is contained in Bolldex, a Swiss product not yet commercially available here. 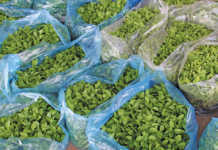 Madumbi Sustainable Agriculture have applied for registration – initially for tomato and lettuce use, but with expansion to other crops planned. “This virus is the new kid on the biologicals block,” says Fox. “It shows excellent population reduction of African bollworm. It leaves no residue and is species-specific, so there’s no impact on beneficial insects such as bees or parasitoids. It’s perfect when used as part of an integrated pest management programme.” As with many caterpillar pests, best results are achieved if control measures are taken against the early stages, and scouting procedures are recommended to detect eggs and very young larvae. Should this window period be missed, the virus can be sprayed onto the crop, flowers and fruit where larvae are present. When the larvae initially tunnel into the fruit, or when they feed on the fruit, they ingest the virus particles. Bolldex should be applied by a sprayer at a low dose rate of 200ml/ha, repeated every seven days until the pest is controlled. It is compatible with fungicides, insecticides and foliar feeds, provided the pH is managed. 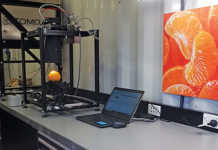 While Madumbi awaits product registration, it is conducting trials in South Africa, applying Bolldex to citrus, tomato, peaches and wheat. “We’ve had a more than 90 % success rate in the reduction of African bollworm populations and have also had very good results in reducing crop damage when the product is applied as recommended,” says Fox. a Bolldex dose of 200ml/ha. The eggs and larvae were treated at the first signs of bollworm eggs, just after fruit set. Four applications were repeated at seven-day intervals. Viruses such as those contained in Bolldex can also be used in combination with chemical sprays. 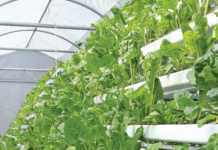 “The chemicals immediately target and knock down the pests while viruses reduce numbers in the next generation. When applied correctly they reduce populations to economically manageable levels,” Fox concludes.